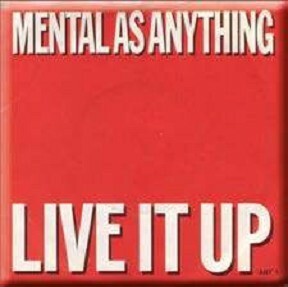 For a band renowned for offbeat pop songs with a swipe at Aussie life depicted therein, the one international success achieved by Mental As Anything was as straight as they come. Issue 49 is on sale now! 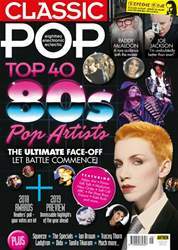 For our first issue of 2019 we put our head in the lion’s mouth to count down the Top 40 most important pop artists of the 80s. Will your favourite come away with the spoils? As ever, this issue is packed with great interviews including a very rare chat with Prefab Sprout’s Paddy McAloon and we catch up with Joe Jackson as he celebrates 40 years in music with a new album and tour. We meet Dido who is returning to the pop fray and we also feature must-read interviews with Tracey Thorn, Tanita Tikaram and Ladytron. Depeche Mode’s troubled masterpiece Songs Of Faith And Devotion is our classic album and we also serve up a buyer’s guide to punk-pop pioneers Squeeze. As well as our essential round-up of what to look forward to in the pop world in 2019, we take one last look back at 2018 with our second Classic Pop Reader Awards. Our packed reviews section features the remarkable comeback by The Specials alongside new albums by Ian Brown, The Beat featuring Ranking Roger, White Lies and UB40 plus a reissues section that includes Prince and David Sylvian on vinyl, a comprehensive Paul Young singles boxset, Buzzcocks, Bananarama and much more. On the live front, we review gigs by Adam Ant, All Saints, Lily Allen and more. Could Kylie embrace the Great Outdoors?